Recent elections in the U.S. and many other constitutional democracies have shown how one of the most basic rights of full citizens, exercise of the franchise, can be frustrated, and how citizens can feel that their opinions do not count even when elections do occur. 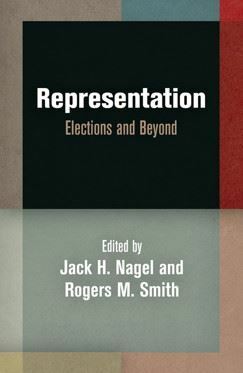 Issues of how to structure electoral systems and representative assemblies to do democratic justice to all pertinent social and economic groups and political perspectives and to achieve competent governance are answered very differently in different constitutional democracies. Mainstream and emerging media systems also play varying roles in informing, reflecting, or arguably manipulating public opinion and electoral behavior. The DCC Workshops and Spring Conference in 2008-2009 will explore the empirical, normative and policy challenges facing achievement of just, effective representation in modern electoral systems and representative bodies, with attention to the media and other sources of public opinion that shape electoral behavior. The volume for the 2008-09 year is now available here. PANEL 1: “What Should Elections Do?" PANEL 4: “The New Media and Elections"